In a mainly Orthodox Christian country like Bulgaria, the building of a Buddhist stupa is a big event. Some visit the stupa near the capital Sofia as a tourist attraction, while others come in search of inspiration and enlightenment. 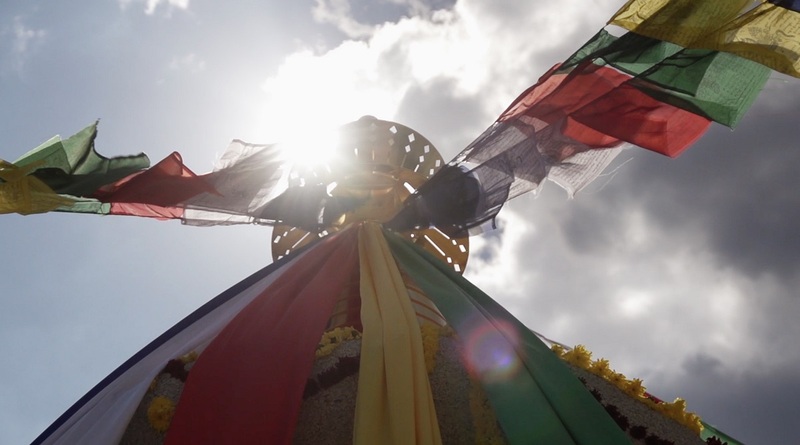 The story of the stupa has been filmed in the documentary The Jewel by two Bulgarians, Ralitsa Golemanova and Nikolay Stefanov, and will be screened during the documentary film festival Sofia Biting Docs 2017. We had a chat with Ralitsa and Nikolay. – What connects you with the Buddhist stupa near Sofia? – We’ve been practicing Tibet Buddhism of the Diamond Way within the Karma Kagyu lineage for many years and this was one of the main reasons to shoot the movie The Jewel. It’s rare to have access with a camera so close to the building process. 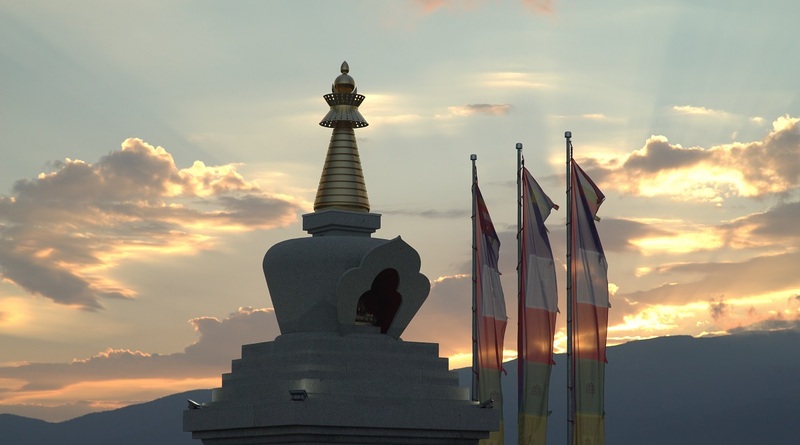 It’s important to clarify that the stupa is not a place of worship; it is a place of enlightenment and represents much more than its visible shape from stone and concrete. It is an embodiment of our inner striving to realize the full potential of the mind. – How is the Buddhist philosophy perceived in Bulgaria? – As a whole, Bulgarians are open to Buddhism. We often organize open lectures in Betahaus in Sofia where we see new people who want to learn more about it. However, we feel that the whole Western world has perplexed and sometimes exotic ideas about Buddhism. Most people consider all Eastern teachings as the same thing – be it Hinduism, Buddhism, etc., mainly due to the many new age trends that mix different philosophies, skillfully or not. Another common misconception is that Buddhism is a religion. In fact, it’s a teaching that is closer to a philosophy or a way of life. If we call it a religion, then it’s a religion focused on experience instead of faith because we check everything without blindly believing. – What have you discovered about ancient Tibetian traditions during the shooting of the movie? – This movie has taken us for the first time to India and Nepal, where the roots of Buddhism can be found. It was an exciting experience for both of us; a deeper insight into our practice and the history of Buddhist teachings. 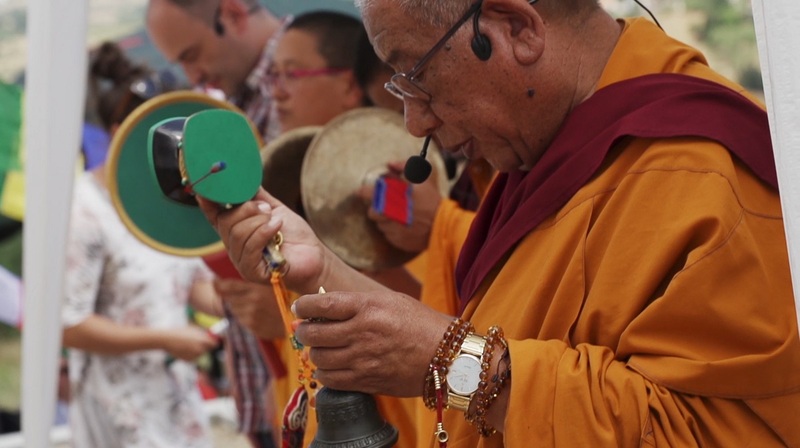 We have learned a lot about the symbolism of the stupa from Sherab Gyaltsen Rinpoche, the spiritual leader of the project, a respected Tibetan Buddhist lama who spent two months with us during the construction. It’s amazing to see so many people working for free in the name of a common goal. – What are the most emotional moments in the movie? – It’s always exciting to see the result of your efforts – both after the stupa was built and the movie was finished. Still, we want the audience to judge which moments in the movie touch them the most. – What are some fun facts about the stupa? – Maybe the most impressive fact is that people from all over the world took part in the building process, both with money and work. In our commercial world, it’s pleasant to see that idealism still exists. Ralitsa Golemanova is a journalist but has also done a bunch of other things, like European studies, online marketing and making documentaries. Nikolay Stefanov has been a cameraman and a photographer for the past 15 years. There’s a dormant movie director in every cameraman, they say, and this movie seems to have awakened the director in Nikolay, this documentary being the first where he is both a director and a cameraman. Read more about the stupa on its official website here. Read news about The Jewel here.